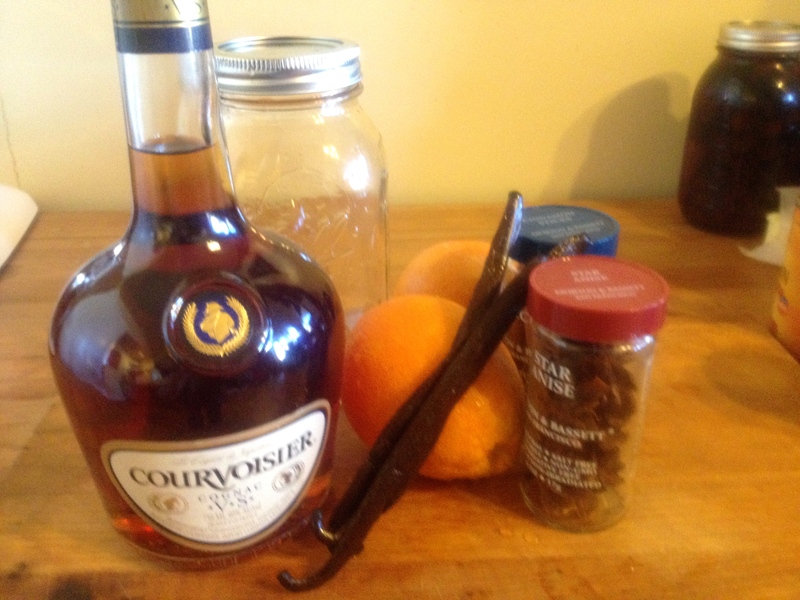 Infused liquors are great around the holidays, and require basically nothing more rigorous than a bit of chopping and some pouring. 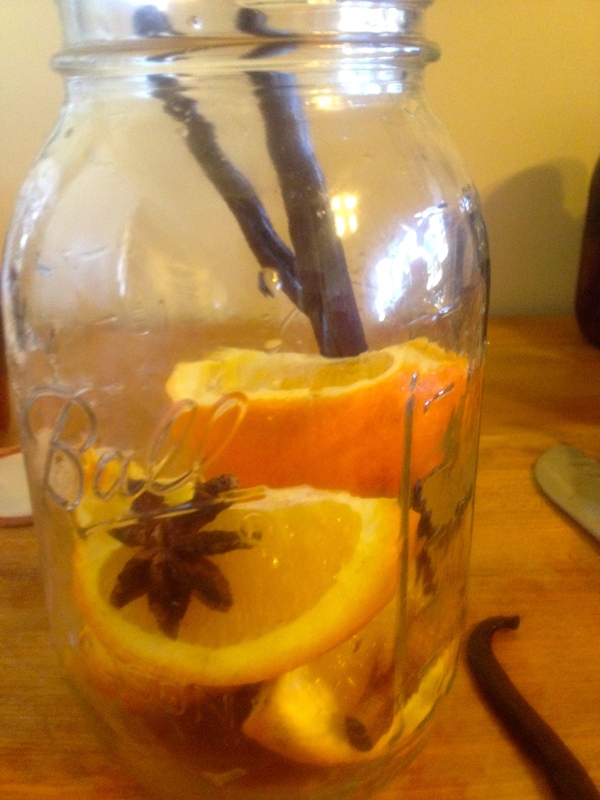 This vanilla and citrus infused brandy will be perfect around the Yule fire, and will also make a killer sidecar. Now, truth be told, I may have left this a bit too late this year. 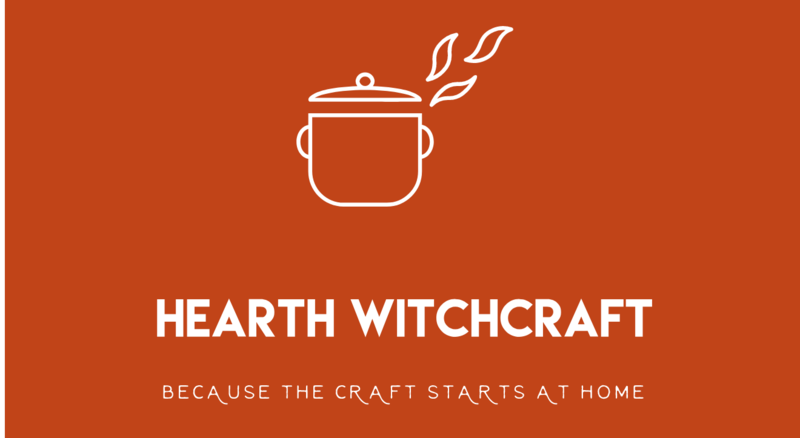 It needs 2 weeks of brewing, and then 1-3 weeks of mellowing after it’s strained. So, if you start now, it will be just about ready for Yule. But then again, it’s not like you won’t want to drink it after the holiday, because you will. And did I mention how easy it is? You’ll need a bottle of decent brandy. Don’t feel like you need to go crazy (probably won’t want to use a bottle of $80 cognac), but you’ll want something that’s fairly good quality because this isn’t like cooking. You’ll definitely taste a poor brandy in this. I used Courvoisier, because you can’t really go wrong. 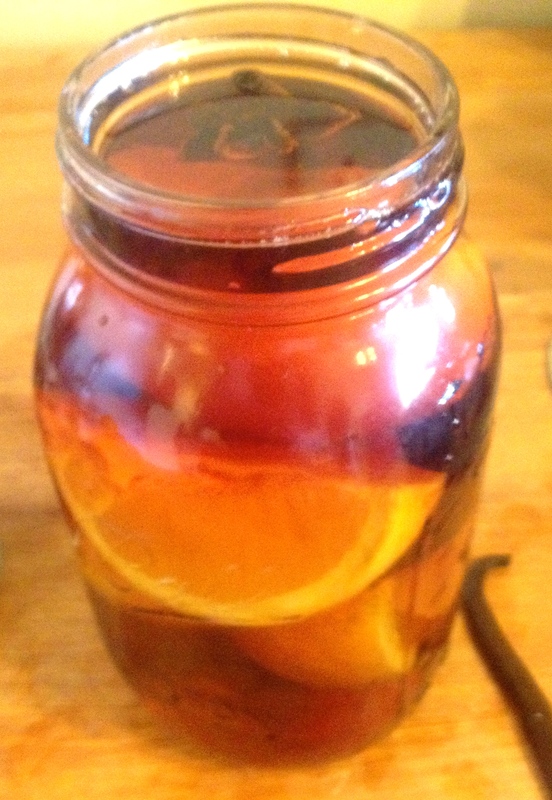 You’ll also want an orange, two vanilla beans, some star anise, half a cinnamon stick and a clean quart mason jar. Cut the orange into fourths and drop it into the jar. Add your cinnamon and anise, then slice open the vanilla beans and pour in the brandy. Yeah. It’s that easy. One important note, though: Make sure you pour enough brandy to cover every bit of the fruit and spices, particularly the ends of the vanilla beans. Exposed spices might mold. Once you have it all put together, cap the jar tightly and put it in a cool, dry, dark place. I put it in my pantry. For the next two weeks, take it out and shake it once a day. At the end of the two weeks, strain out the fruit and spices, and then return it to the jar and back into the pantry (or wherever) to mellow for 1-3 weeks. Enjoy on Yule, New Year’s Eve and whenever you need a nice pick me up.